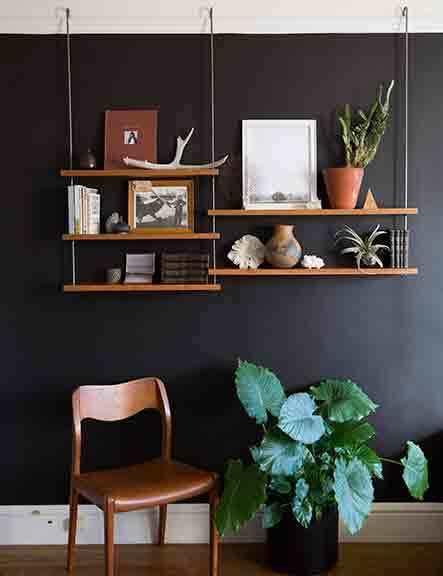 Display books, objects and artwork from hanging shelving and create storage in an otherwise blank space. 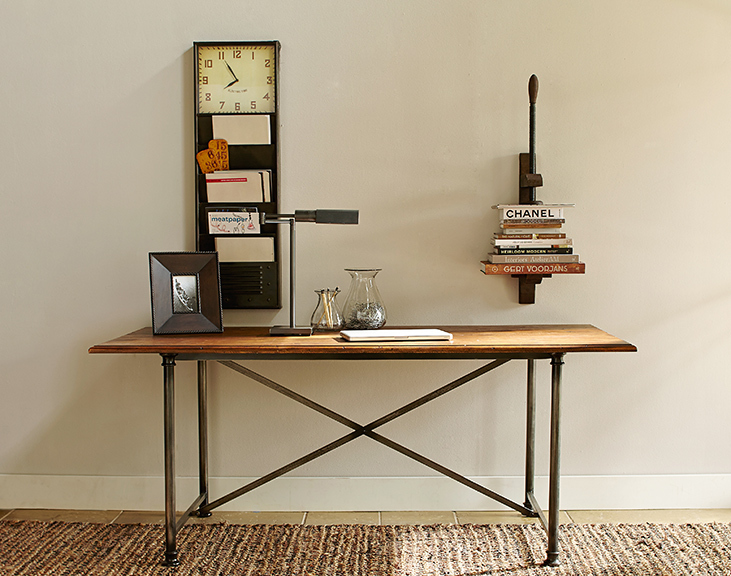 three: 1950s French factory shelving, available at Restoration Hardware. 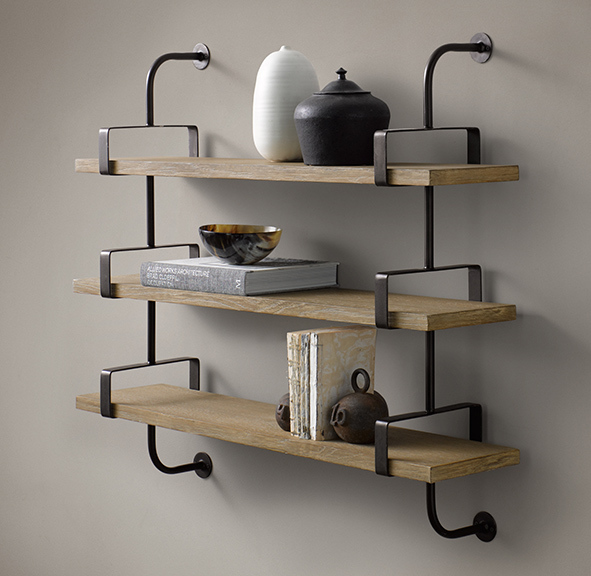 four: Bridge shelves, by Outofstock. 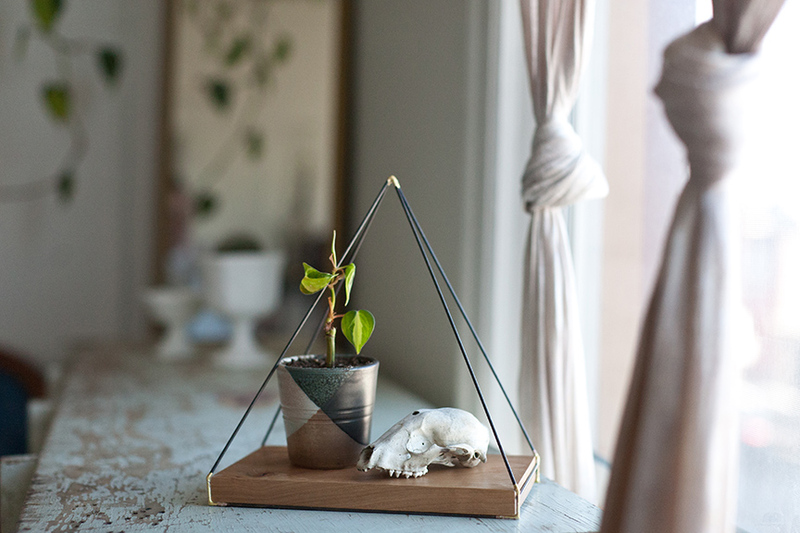 Photography by Felicia Liu. 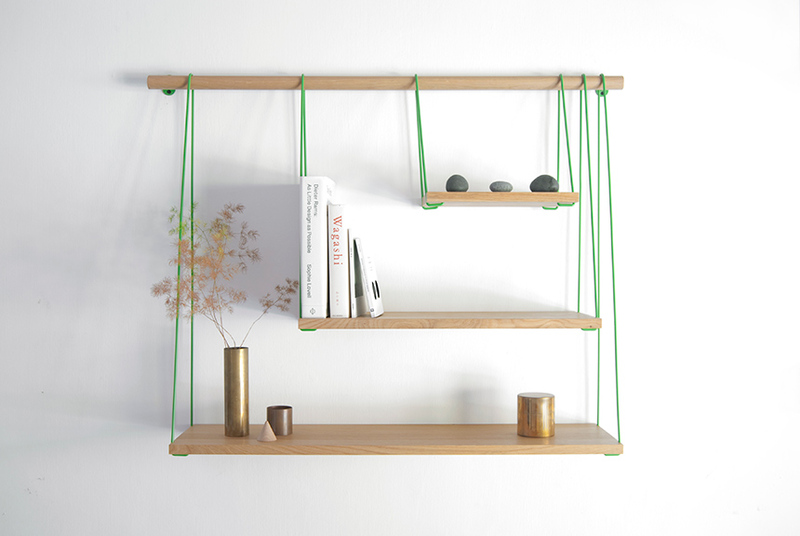 five: Hanging shelf, by Blade & Knoll. Photography by Shyla Photography.